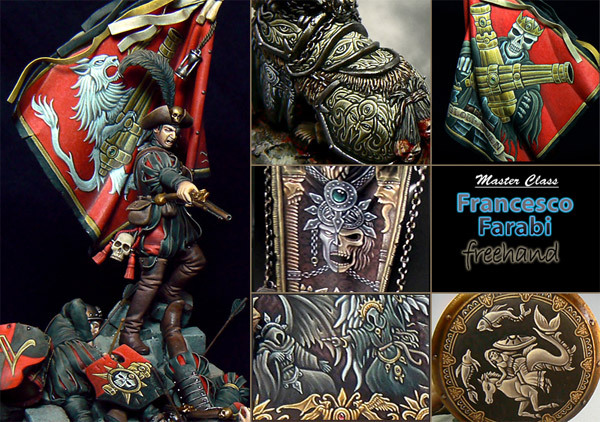 "Get ready to add tremendous impact to your miniatures with Franceso Farabi's Freehand Techniques. Inspired by his world famous Centigore and Gothic Marine. Francesco guides you through the complex art of creating stunning freehand designs that have won him numerous Slayer Swords. The 4.5 hour video tutorial covers the making of an ultra cool werewolf/vampire banner. You'll learn techniques that can be applied to all surfaces of your miniatures including banners, weapons and armour. Available now as an instant download. 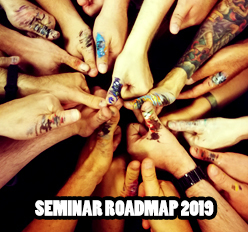 Below is a rough schedule for our 2012-2013 roadmap and our progress so far. 1. Javier Gonzalez : The Violinist (cmon: Arsies) - filmed - coming Jan 2013. Over 1 year in the making, this absolutely massive tutorial will be the most complete and comprehensive tutorial on anatomy period!!! We're flying our master sculptor half way across the world to study anatomy with the world's greatest masters. There he'll perfect his already incredible skill and bring it to your living rooms. 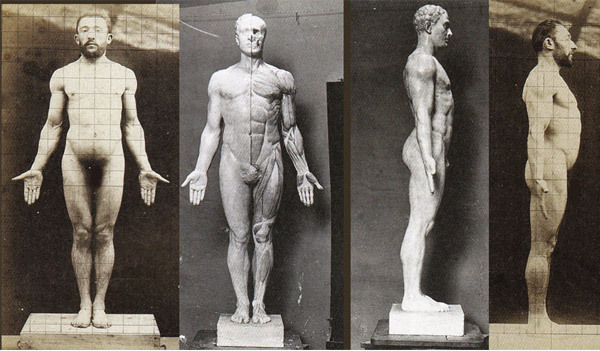 Soon miniature sculptors everywhere will have an ultimate resource from which to learn the complex art of anatomy. Just the day before you wrote this post I visited their site (which I normally do once in a coupleof months). I thought about buying their stuff. Now you posted this. Well I took this as a sign and subscribed to MM. Well as I don't believe in a god or predestination and stuff like that, I use these "signs" to trick me to buy stuff I want, but don't really have the money for...I like tricking myself. A subscription is the way to go! Although all the videos are pretty good quality (perhaps with exeption of some of the older stuff) you don't really know what you get. The descriptions of the videos are oftenly not that accurate and a bit misleading. Have fun exploring your subscription, there sure is a lot of great stuff to be explored!